Regardless of the industry in which any business operates, communication is vital to connecting the business with customers, prospects and vendors, and, as many business owners are finding out, a solid Voice over IP system has the ability to strengthen core operating effectiveness of any business. A Voice over IP system (VoIP) merges voice plus data power to reduce communications costs while increasing their potential effectiveness. VoIP for business enables communications over multiple devices, too. According to the Federal Communications Commission, reliability and lower costs prompts more businesses to choose VoIP over traditional land line systems every year. But not every VoIP system is created equal. Research into the best business VoIP system for you is crucial. One major reason business choose VoIP systems is that IP networking is not limited to Internet: VoIP works over any utilized network, e.g. public, private, cable, broadband, wireless or corporate types. Many businesses already maintain a corporate-dedicated network before implementing a VoIP system. Because VoIP access is usually portable, office workers have the ability to receive work calls at home or almost any location without the need to give callers another number. Single and multiple-location businesses appreciate VoIP systems because everyone, including mobile workers, use a single communications system. 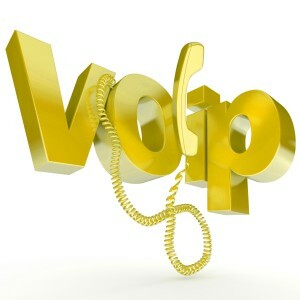 Businesses like the flexible options offered by VoIP. The Federal Communications Commission provides added information about how VoIP services work. According to author Timothy V. Kelly in “VoIP,” (2011) companies have fewer traditional (non-IP) telephony systems to choose from as new customers embrace VoIP technology. William A. Flanagan (“VoIP and Unified Communications,” 2012) points out the rapid pace of VoIP and UC services. In addition to voice communications, users share files, white boards, videos, images and more. Multiple-editor files may be shared with UC. Portable and mobile devices may be linked to the network, as more workers use tablets and laptops on the go. ABI Research estimates that 10 billion people around the world use with wireless devices. Demand for VoIP systems and services is predicted to increase significantly in all major global markets. According to PC World author Brad Chacos, upgrading analog-based phones and devices to SIP-enabled technology can make the transition to cloud-based VoIP service a more satisfying experience. For businesses that choose not to purchase new equipment, an analog telephone adapter (ATA) can help stretch the company budget. However, users won’t have access to all the latest VoIP system features without upgrading phones and fax machines. Analog phone adapters average $70 each; high-end conference call-capable VoIP phones cost up to $600 each, Chacos says. VoIP Business Plans. Small business VoIP plans are usually priced per user, or per end-point. For example, companies with less than 20 users pay more per user than companies with at least 100 users. Self-hosting can drive down costs for small business. An IP-PBX server connects to a PSTN gateway (connecting to a public telephone network). Self-hosting can offer the small business greatest security and flexibility. Set-up and management time is minimal. Small upfront equipment investment allows the small business with the freedom to make frequent upgrades in new technology. Medium-sized businesses may manage VoIP costs by purchasing ‘metered’ or unlimited user plans. A metered phone helps companies manage costs of an occasionally used line, e.g. a conference room phone. 1. Short-term pricing (months): Discuss what ‘regular’ pricing will add to the business’s costs. 2. Taxes on IP telephony: Long-term users of any VoIP system may not receive grandfathered, legacy pricing. Taxes vary by market. 3. Federal Communications Commission (FCC) fees: FCC costs mount up quickly, with Federal Universal Service Fee (up to $6.00 per line)! 4. Carriage/carrier costs add to the bill: ‘right-of-way’ expenses, state tax/gross revenues tax, and other pass-along expenses increase costs. Gratis services available from some VoIP system providers. Voice mail, call forwarding, domestic long distance, faxing, and conference calling are offered at no cost by many providers, according to Gary B. Shelly and Misty E. Vermaat in “Enhanced Discovering Computers” (2012). Using a VoIP-linked mobile device (use mobile apps) rather than a cellular network can save money. According to Robin Gareiss of Nemertes, only approximately 17 percent of small to medium-sized relied upon fully deployed VoIP in 2011. Although VoIP systems have been commercially available for about 18 years, companies polled evaluate the kinds of IP phone sets available. They grapple with the continuing importance of merging mobile and soft sets with office phones. As VoIP-powered companies approach multiple system upgrades, many decide to evaluate a brand new system. UC capabilities are increasingly important to businesses. Some companies self-manage VoIP systems, but continued to cost-effective hosted or managed services helps companies to simplify. Cloud-based UC, enabling audio or web conferences, is also popular with cost-conscious companies. Businesses of all sizes have many options to consider when evaluating a VoIP system. Knowing what hardware, options and features the business needs helps decision-makers to identify tailored solutions. Knowing how to choose a business VoIP system is essential in today’s competitive communications marketplace.